Life is a rollercoaster. It has its highs and its lows and generally zigs when we think it will zag. It’s hard to judge how things will pan out, but one thing you can guarantee is that you’re going to age. Aging is natural and something that none of us can escape, even if we try to avoid the visual effects of it. Although you may not be too concerned with your old age just yet, you may be when it comes to that of a parent or close relative. As someone close to you gets older, you may want to make sure that you’re ready to deal with what goes along with it. Firstly, there’s care to cover. Not everyone will need a form of care when they get older, but a lot of people do. Thankfully, there is a range of elderly care options that you can choose from. This is something that you may want to research and understand on your own and then discuss with your loved one to figure out what they may want to do. 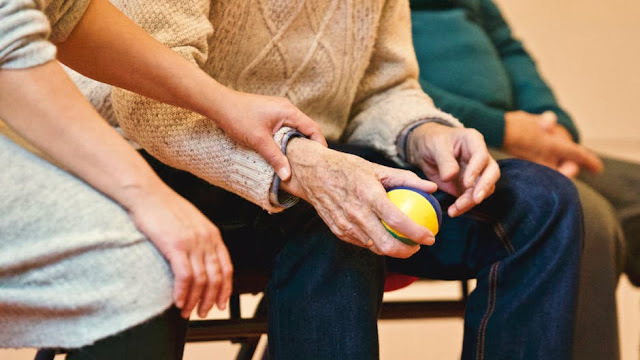 Whether you provide the care, you have carers come into their home, or your relative moves into an elderly living facility, it's important to be aware of the options you have. As people start to age, their needs change. Although you may not be the one getting older, it’s important that you try to understand their changing needs so that you can support them. Not only will this involve care, but also their medical needs too. Even when you have a healthy parent or relative, old age can often mean that their health can change rapidly, and they may need assistance on a daily basis. Then there’s also some of the housekeeping points that you may need to cover off. Alongside the physical care of your parent, you may need to go over paperwork or insurances. Not only do you need to make sure their will is in place, but you may need to arrange probate lawyers now or in the future too. As they get older and their health changes, you also need to make sure that their health insurance coverage is up to date and takes care of their changing medical needs. From a paperwork level to a personal one, you may also want to make sure that you can help your parent or relative to still feel like themselves even if they’re changing. Allowing an elderly parent or relative into your immediate family circle, and especially your children, is a great way to make sure they’re not lonely. So take them out when you can and allow them to spend time with your family as a whole. Above all else, you may just want to be there for them emotionally and to show some support. Old age can be hard on a person, so when they’re someone close to you and that you care for, you’re going to want to make sure that they can adapt and adjust in the best ways possible. So make sure that they know you’re there for them should they need you.